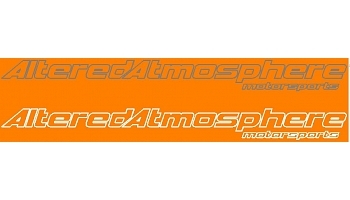 Custom Banner Outlined 43" X 3.39 - 10 white and 15 silver metallic.$4.00 each. Custom Banner Outlined 32" X 2.85 - 13 white and 13 silver metallic.$2.00 each. Custom Decal 12" X 1.04 - 100 white and 100 silver metallic.$1.00 each. Custom Decal 9" X .78" - 100 white and 100 silver metallic.$0.75 each. Time to complete order - Two weeks. A+++ Awesome Product. Even Better Delivery Time.